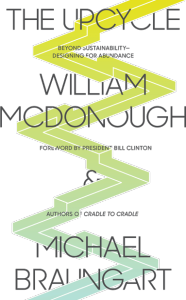 Starting in 2014, the CSPA has replaced its Amazon.com Bookstore with an annual book selection to build your library. 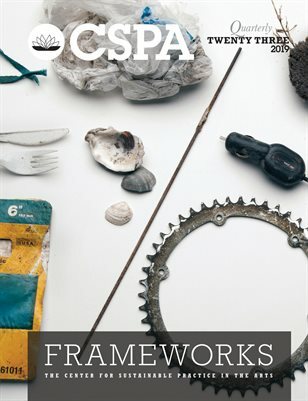 Each year the CSPA will select a handful of books we we feel are essential reading. When someone subscribes to the CSPA, they are able to select one of that year’s book selections, and we will send it to that subscriber to add to their library. “Everyone has the right freely to participate in the cultural life of the community, to enjoy the arts and to share in scientific advancement and its benefits,” proclaims the Universal Declaration of Human Rights. 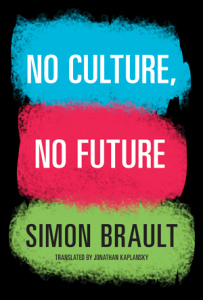 Simon Brault takes these words to heart and goes one step further. In No Culture, No Future, he establishes that arts are not just a right but a necessity. A longtime advocate of the arts in Montreal, Brault has taken action to re-establish that city as one of the most culturally accomplished communities in Canada. No Culture, No Future is part of his campaign to convince the people and governments of cities across Canada that investment in the arts benefits all citizens. 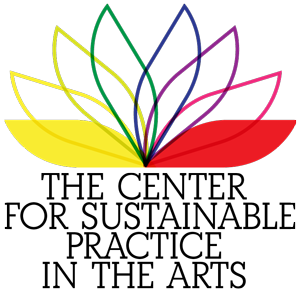 Faced with intense competition for audiences and financial support, as well as adverse political fallout from the “culture wars” of the early 1990s, arts advocates have increasingly sought to make a case for the arts in terms of their instrumental benefits to individuals and communities. In this report documenting the most comprehensive study of its kind, the authors evaluate the strengths and weaknesses of these instrumental arguments and make the case that a new approach to understanding the benefits of the arts is needed. 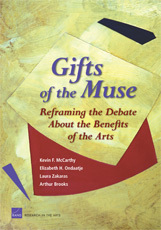 Critical of what they view as an overemphasis on instrumental benefits, the authors call for a greater recognition of the intrinsic benefits of the arts experience, provide a more comprehensive framework for assessing the private and public value of both intrinsic and instrumental benefits, and link the realization of those benefits to the nature of arts involvement. In particular, they underscore the importance of sustained involvement in the arts to the achievement of both instrumental and intrinsic benefits. This study has important policy implications for access to the arts, childhood exposure to the arts, arts advocacy, and future research on the arts. In his new book Making Your Life as an Artist, Andrew Simonet – choreographer, writer and, for 20 years, Co-Director of Headlong Dance Theater – offers answers to why anyone would choose the life of an artist, and how to manage that life. He shares what artists already know: building a life as an artist is a creative act, and using your artistic skills outside the studio can make it sustainable. Simonet’s book does not offer “how-to” steps to succeed in the art world. 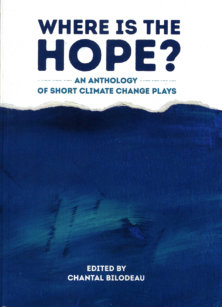 You won’t gain gallery representation or get your play produced by reading it. Instead it shares carefully considered—and mordantly humorous—survival skills and techniques for sustaining a creative life. 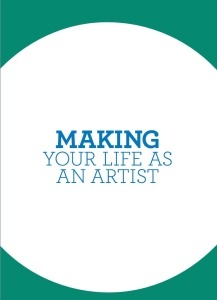 As part of Simonet’s mission to put tools in the hands of artists, the e-book of Making Your Life as an Artist is free and available to all. It can be downloaded at www.artistsu.org/making. Protecting the environment should be a priority of every theatrical production, but it can be challenging to mount an environmentally-friendly show with limited time, resources, and information. 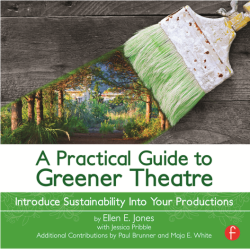 A Practical Guide to Greener Theatre: Introduce Sustainability Into Your Productions not only gives you the information you need to make greener decisions, but provides you with practical, workable solutions. You will learn how to assess and improve every production area – from costuming and painting, lighting and technical direction, to administrative offices and the rehearsal process. Checklists, examples of successful strategies, and step-by-step instructions will show you how to identify areas where manageable, sustainable changes can make your productions greener, and advice from working professionals, with experience greening their own productions, will leave you confident that your processes are environmentally sound. Even non-technical people who find themselves responsible for supervising productions will find green solutions that can be instituted with a staff of volunteers or students. Remember: every step toward sustainability is a step forward.